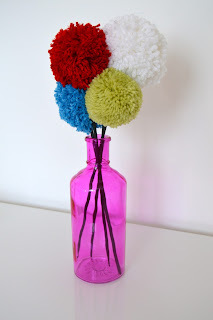 Curly Girl Coop: Pom-pom-tastic tutorial! 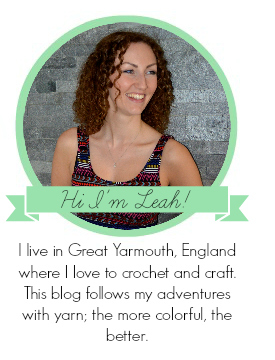 Pom-poms appear to be making a comeback and I'm right up there in the middle of it. My Pinterest is full of crafty things to do with pom-poms, but the thing that I instantly knew I had to make was pom-pom flowers. To give some context, I have a very lovely newish craft room, my christmas present from Coop last year. The furniture is fantastic, I love my huge glossy red desk, but the room is very white and needs some brightening up. What better way than different coloured pom-poms in brightly coloured vases?!?! Step 1: I bought me some Clover pom-pom makers. Now you can make them just as well using a cardboard ring but I'm a gadget kind of girl, and once I saw these online, I really wanted to get some pom-pom makers so that they are consistently sized, plus I couldn't work out from the photo how they worked and was genuinely quite curious! There are several sizes available if you are interested and they are widely available online.The pom-pom makers come in two halves, and you simply start by wrapping the yarn around the semi-circle until you can't fit anymore yarn on. Then you do the other half. But you just need to give it a little scruffle and it will puff right up. 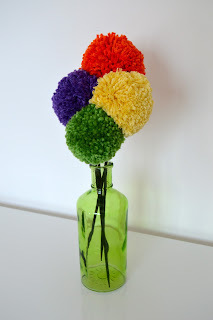 Step 3: with lots of glue, attach the pom-pom to the end of a short garden cane. This pack of 50 12inch canes cost around 50p from my local garden centre. The cane should easily poke through into the centre of the pom-pom. These are lovely and cheerful! What a great idea, thank you for sharing!